Get the fastest Internet speeds in Saskatchewan with SaskTel Internet. Choose from a variety of High Speed Internet, unlimited usage plans. With our new fibre optic network infiNET, we're the only company bringing fibre right to your door. Enjoy the freedom to surf anywhere in your home or backyard with home Wi-Fi. With our extensive dealer network, 24/7 help desk, online support and friendly expert service, we'll always be there when you need us! SaskTel Internet service is available in over 200 communities throughout Saskatchewan, including Regina, Saskatoon, Prince Albert, North Battleford, Moose Jaw, Swift Current, Estevan, Weyburn, Melville, and Yorkton. 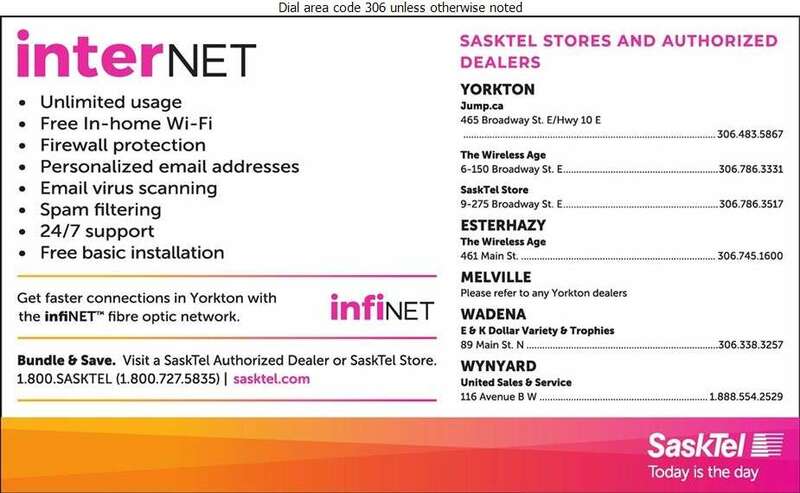 Call, visit us online, or head to a SaskTel Store or Authorized Dealer, to start getting the Internet service you deserve.